Donna Graves and Christopher Ver Planck will provide an overview of the draft San Francisco New Deal Historic-Context Statement, followed by a photo presentation from community activist Richard Rothman depicting WPA murals in various states of deterioration and preservation. Mike Buhler will provide an update on Heritage’s latest activities. Admission is free for Heritage members and $10 for non-members. The meeting will be held at the Hobart Building, Variety Club Preview Room. 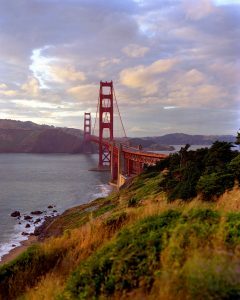 Saturday, June 23, 9:30 a.m. – 11:30 a.m.
Few people have come to know the Golden Gate Bridge, inside and out, as extensively as Bob David. An architect and photographer, he began his career at the Bridge in 1973. For his first 30 years at the Bridge, he served as Design Director for the agency, which includes the operation of the Bridge itself plus the Golden Gate Transit Bus and Ferry system. In that capacity, he and his design team produced all the public information graphics and display hardware for the Transit system and the Bridge. He continues working in a semi-retired status, focusing on documentary photography of Bridge projects, such as the still ongoing Seismic Retrofit Project. While he uses digital photography equipment for most of his work, he also uses large format (8×10) film equipment for milestone photographs of construction work that requires maximum capture of detail. Being inclined to be a student of history, Bob became a Bridge historian and archivist. He will recount his personal journey uncovering various historical, artistic and architectural anecdotes, some gathered first-hand from its creators. In 2012, he helped curate the Bridge’s 75th-anniversary exhibit at the California Historical Society. Bob is a native San Franciscan, and he is a licensed architect in California. The contribution of this monument to the culture and mystique of America’s West cannot be overstated. It is one of the world’s most recognized and admired geographic symbols. Bob’s blend of stories and images will provide a unique perspective on this celebrated San Francisco landmark. 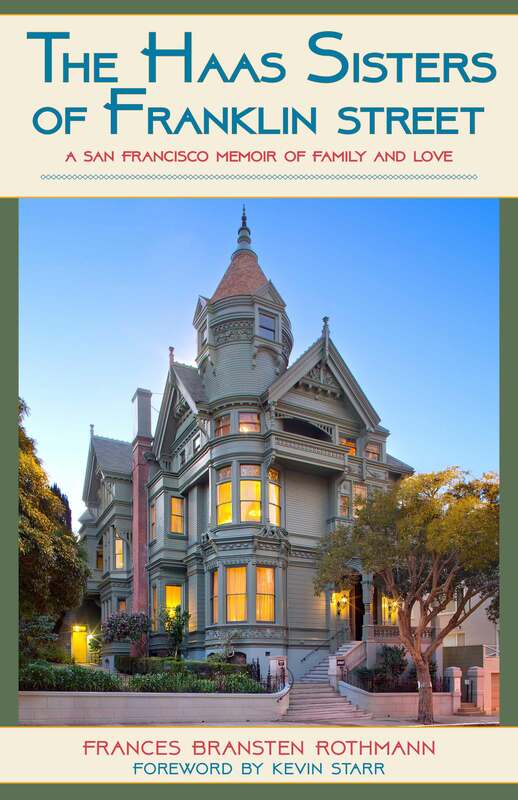 At Heritage’s 2018 Semi-Annual Meeting on Wednesday, January 31, John Rothmann, a radio talk show host on KGO 810 AM and grandson of Florine Haas Bransten, will recount family anecdotes found in the memoir, The Haas Sisters of Franklin Street: A San Francisco Memoir of Family and Love (1979, 2017), written by his mother, Frances Bransten Rothmann (1914-1984). In addition, President and CEO Mike Buhler will provide an update on Heritage’s latest activities, including public-policy and advocacy priorities in 2018. The Semi-Annual Meeting is free for members (TO ACCESS FREE MEMBER TICKET, PLEASE USE ACCESS CODE) and $10 for non-members. 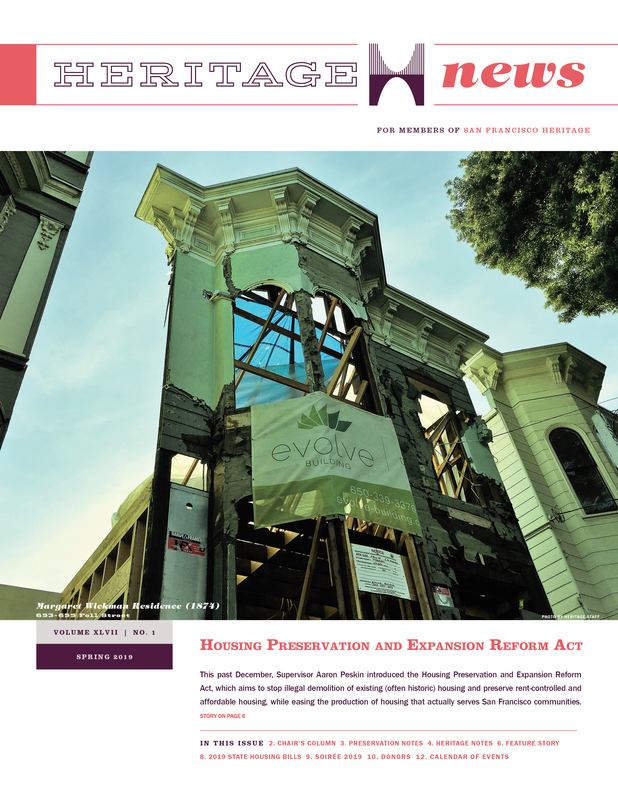 Email tle@sfheritage.org and RSVP HERE.